Communication in a work environment is key, and many industries require specific means of communication in order to maintain efficiency in the workplace. In a number of businesses focused on customer service, earpieces have become a proven tool for effective customer and client satisfaction. Customer Experience – There is no need to disrupt your customers shopping experience, or have them listen to the conversations happening over the two way radios among your staff. An earpiece allows your staff to hear the happenings in their environment, and respond to those needs, but keeps the customer focused on shopping. Operational – Having an earpiece means you can hear your radio while you’re on the go. In busy, and sometimes noisy, work environments, there are often distractions that take away from communications among staff. Earpieces can prevent that. Privacy – A great use for discreet conversations or sensitive topics, whether it be a medical situation, or security measure. It’s important to remember that clearly communicating for customer service, daily operations, and during emergency situations matters above any other skill. Motorola is a proven leader in radios with added convenience coming from its accessories, like earpieces. Knowing various industries have unique situations, Motorola doesn’t just provide one kind of earpiece either. If you’ve been searching for a radio with more efficient technology, here’s how earpieces can improve your two way radio experience in every industry from warehousing to emergency services. When you use an earpiece, sometimes wiring is necessary to make it convenient, though Motorola never makes it obstructive. For jobs in retail, you’ve perhaps seen people using earpieces with one audio wire attaching everything. Motorola gives you this option while allowing easy access to the microphone and push-to-talk (PTT) combined. 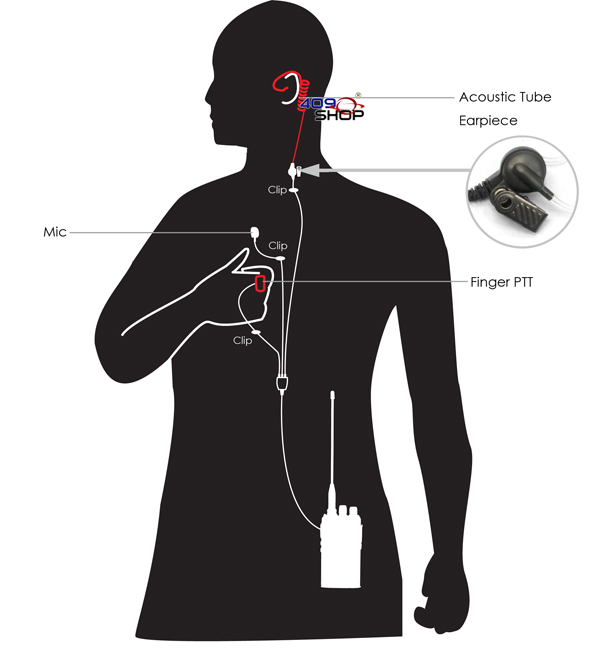 PTT gives you a wired unit that you press to talk into your microphone. With the wiring very thin, it’s a more affordable technology enabling your retail workers to do manual labor without holding a radio. Using this helps enhance customer service by getting quick answers to customer questions. Now employees won’t disrupt the customer experience by having to walk to another part of the store to get information. This is the most common earpiece used in the most industries using two way radios. Perhaps you prefer to have separate wires for the earpiece and PTT. These accessories work better for employees of the hospitality industry, warehousing, manufacturing, education and recreation, among others. Those who work in security frequently use these as well, since it’s easier to fit the wiring inside industry clothing. Once again, you have an easy push-to-talk button for instant communication with the amazing range you can expect from Motorola products. The operational advantage to these is employees can hear information on their radios while on the go. Those in warehouses, especially, are frequently on foot and may need information for equipment inspections. Those who work in security, police, or surveillance work sometimes prefer separating the mic, earpiece, and PTT button to make it more comfortable to use. It can configure in a way where you have the PTT near your hand for easier and discreet speaking abilities. When at security checkpoints, it makes for more inconspicuous movements if you’re checking up on a possible criminal situation. We all know we live in a wireless world, and Motorola takes this seriously. 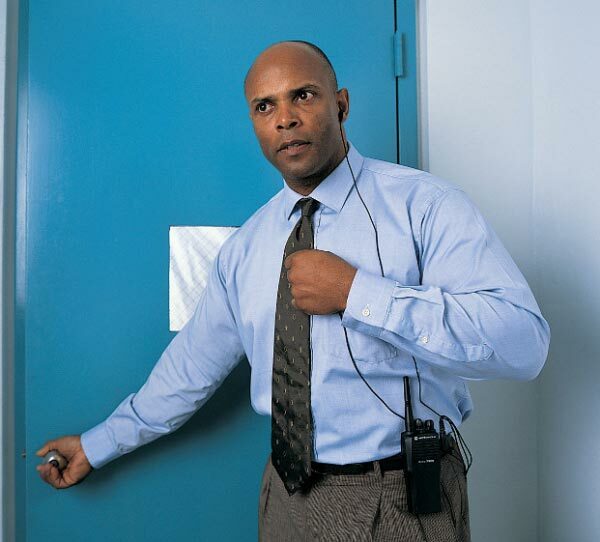 In recent years, Motorola introduced wireless earpieces for those in security or police careers. This technology is easy to use, lightweight, and works up to 50 feet from a Bluetooth-enabled radio. One thing you can count on with Motorola is the range on their radios is outstanding, which is necessary when working in fields where you’re far away from people. Since many careers involve being on the go and working in challenging situations, earpieces give perfect audio clarity when relaying info and keeping conversations discreet. Before you buy, it’s worth looking at the above configurations in more detail to see what you need for your particular industry. Each one can help many other careers from restaurant employees to floor managers where privacy and communication are just as vital. Contact us here at Nova Communications to find out more information about these earpieces and discover what your company needs. Need two way radios? Try the FREE Online Radio Selector below.